How many of you dislike the idea of a changing table? 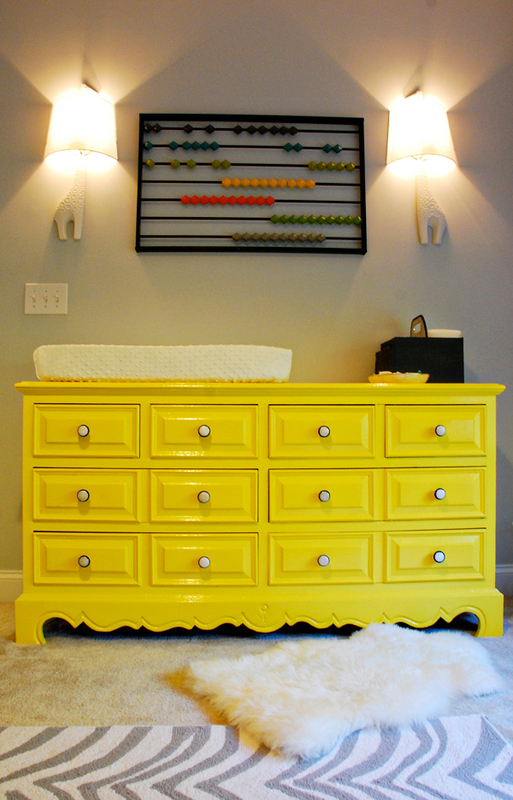 How many of you like the idea of purchasing a dresser and making it into a changing table for the time you need it? I like the latter, personally. If your baby is anything like my squiggly worms, a changing table ends up being a place I spent money on and never use. I don’t like spending money, only to have my purchase sit there, useless. 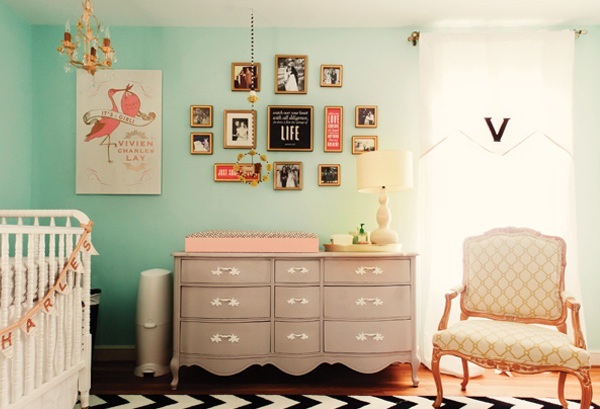 So…why not do the dresser with a changing pad on top? I feel this is such the way to go. For my newest client I suggested this dresser from Land of Nod. 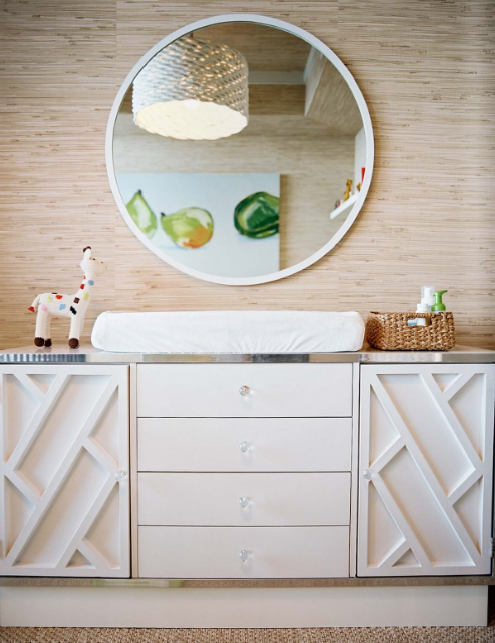 It’s called the Monarch dresser and I just adore the lines on it. The small lip at the sides and back of the top of the dresser. And those legs! Can’t wait to see it in her nursery. I totally agree! A dresser will last so much longer than a changing table that you really only use for a few months. These are beautiful pictures! If I had my time over again I would definately buy a dresser rather than a change table. Those are beautiful selections, especially that yellow one – gorgeous! I love this post, especially the bright yellow dresser. One day I'll be gutsy enough to do this to my son's dresser for a statement piece. Beautiful space you've created. I found you via the Blog Hop over at Live Laugh Rowe. New Follower! Come check out my site and follow along if you'd like!